Street drags are alive and well in Southeast Asia, with events like Speed Wars II utilizing portable light-trees for 1/8 mile action. Many of the bikes are stripped-down, small-displacement machines built in small garages and shops across the region. 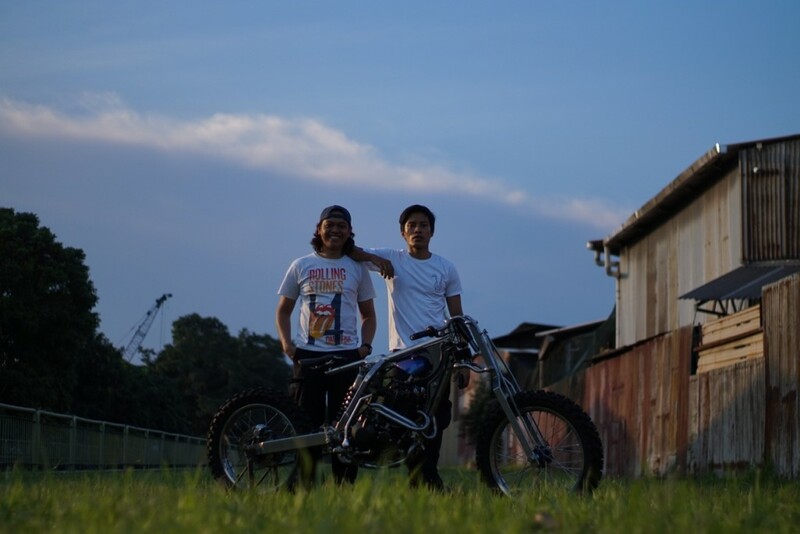 Enter WanSalim and his childhood friend SyaifOsman of Bunny Builds Customs, based in Singapore. 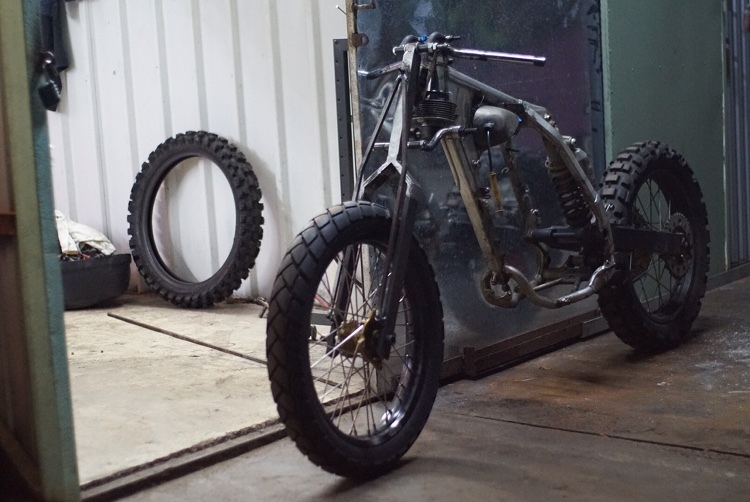 The pair decided to build a custom bike inspired by flatland drags and the scrambler craze, hurrying to have the build complete for Art of Speed 2017 in Malaysia. 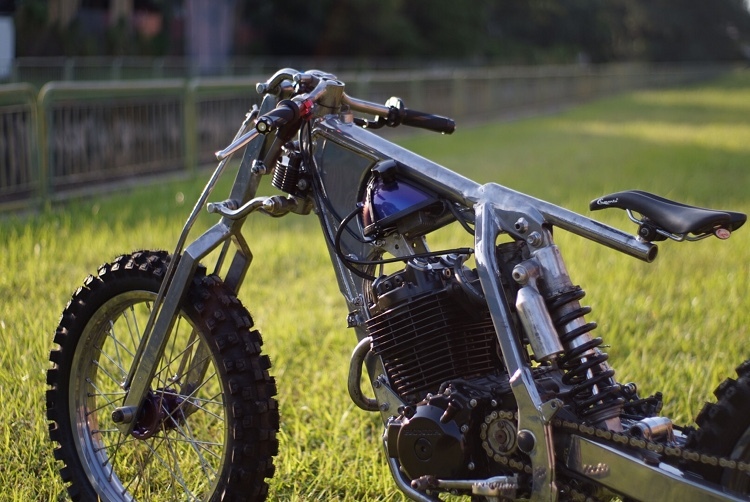 We have never seen anything quite like this XR400 build: girder fork, tiny drag-inspired tank, and mountain bike seat. 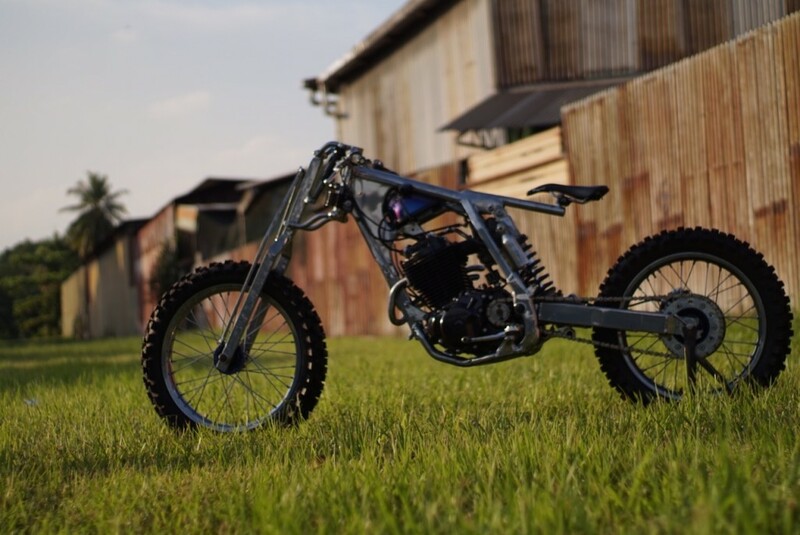 The bike is largely an exercise in custom fabrication, resulting in what resembles a 400cc downhill mountain bike. 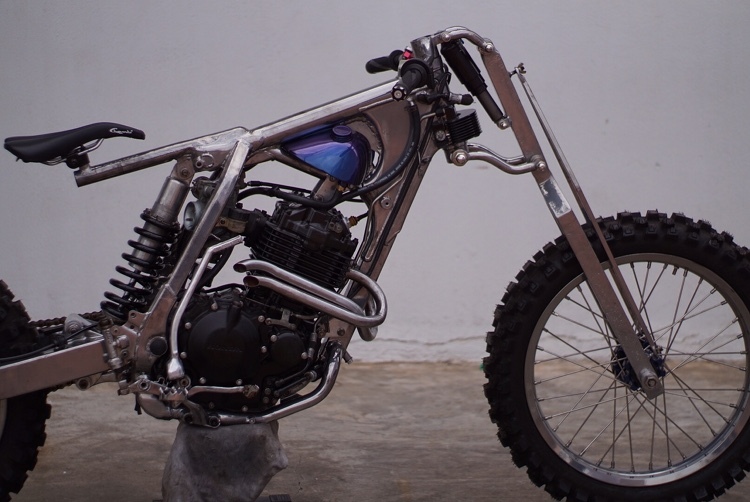 This should probably come as no surprise, as a few of the components came from WanSalim’s DH bike. 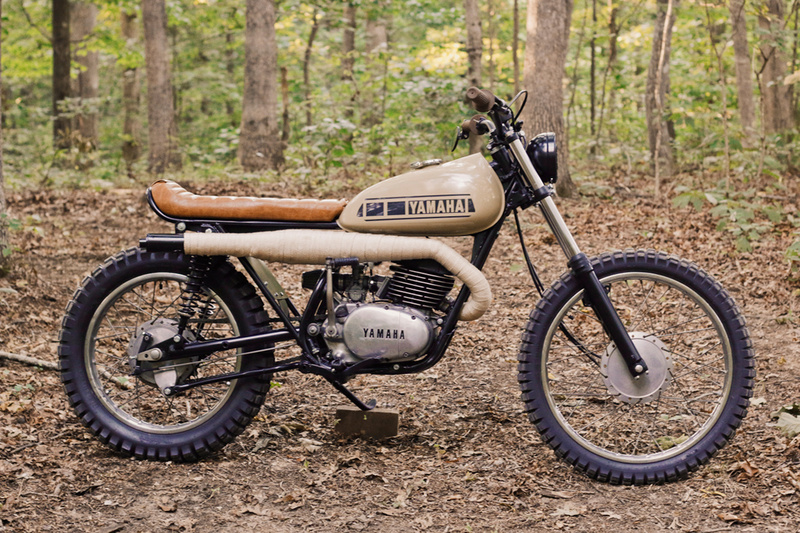 The build is polarizing, sure, but we sure wouldn’t mind giving this flyweight XR400 a rip! Singapore, a centre for all form of trades from food to mechanical products. The people here live in a very fast pace environment where some of them dropped their hobbies to make time for families and friends. But in Bunny Builds it is different. Founded by WanSalim and his childhood friend SyaifOsman they wandered around a quiet and rundown industrial estate and found a place with container-like spaces ideal to be their garage. 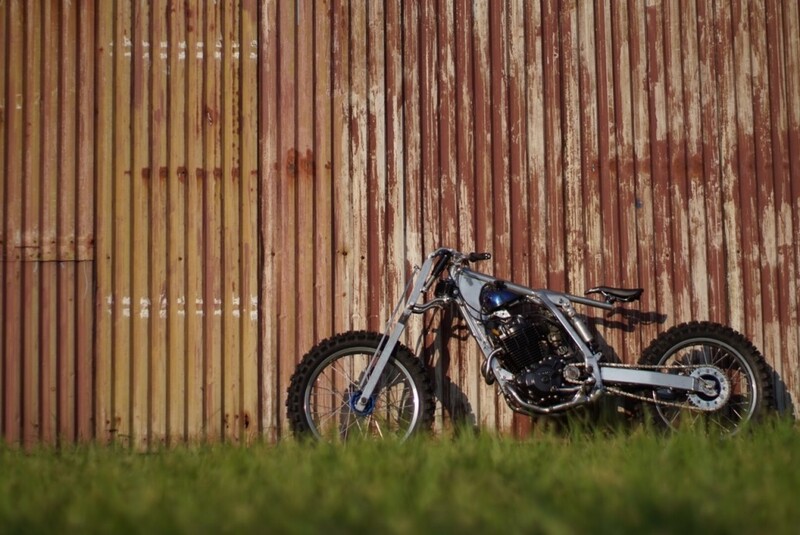 WanSalim have been involved with bike customization since 19. He have been modifying his personal and friends’ bikes at his residential void deck and often been chased away by authorities. Being a mechanical engineering student, he is more practical than dreaming. His vision happens with the help of the workshop he rented. 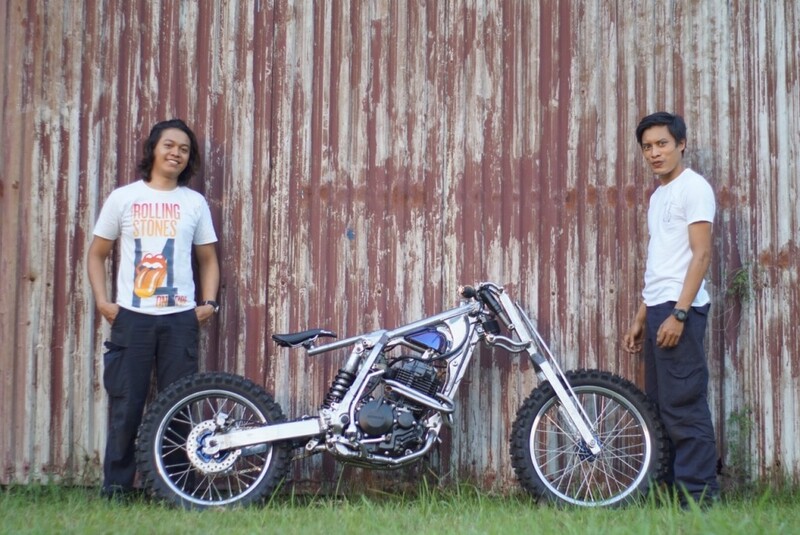 After being to numerous bike events, WanSalim and his partner sat in front of their workshop staring at his XR400. 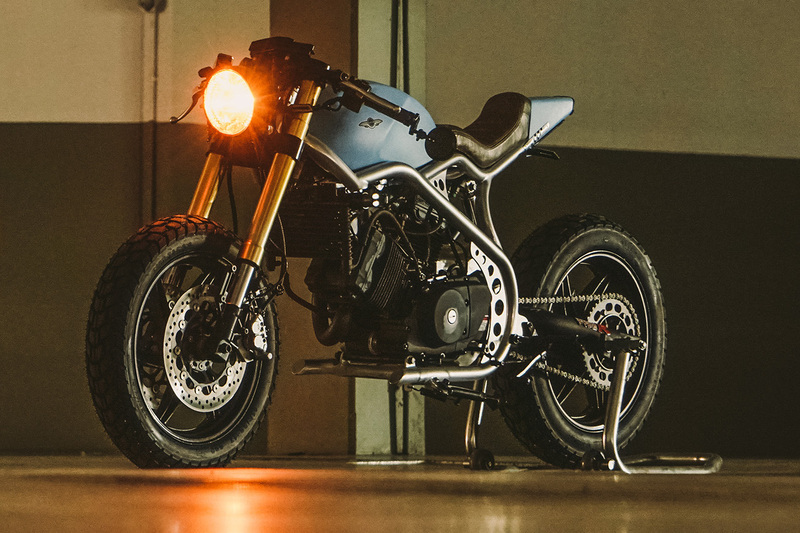 On a notebook he started sketching his ideas of a scrambler with the attitude of a bobber, and shortly after they started stripping the bike and measuring the forks. 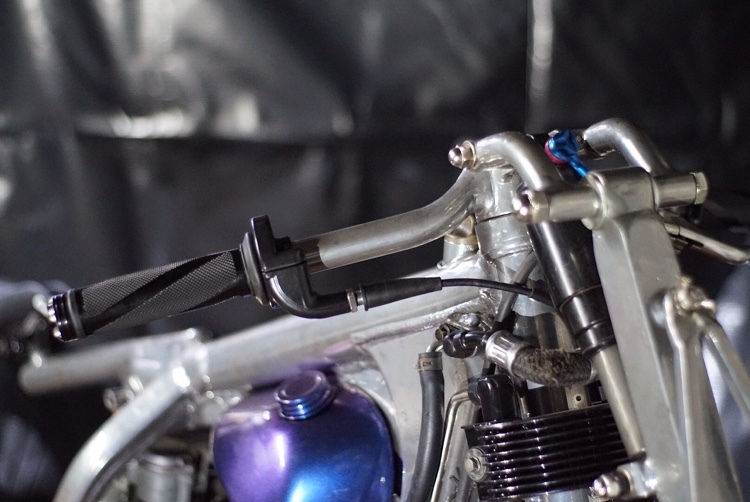 He wanted a girder fork for his scrambler and freely lower the bike to a height till it doesn’t eliminate the term ‘scrambler’. The fork was the hardest for a first timer like him. Thrice he failed within a period of two months which almost made him scrap the whole idea but on the fourth try he saw it all coming together. Coming from his engineering days, he fabricated the girder links and axles with his own measurements and welded them altogether. 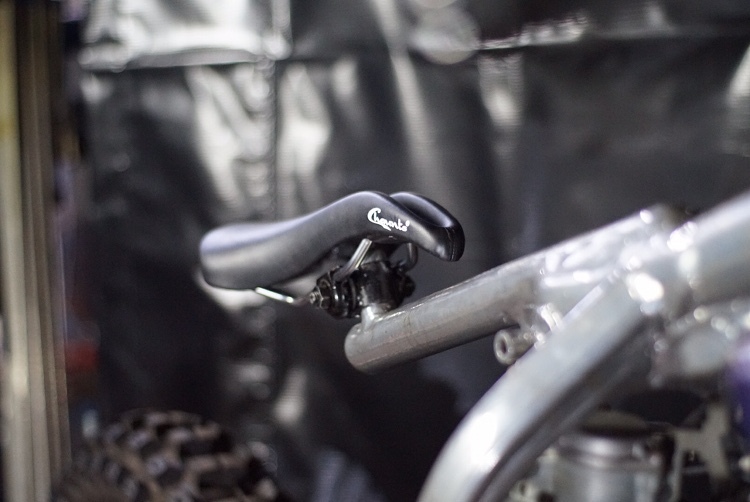 For damping, he used a Fox float Rp32 from his previous Downhill bicycle. For the front wheels he ordered his 19 inch rims and spokes from ‘Buchanan Spokes’ and got a professional to lace them and use the stock rear wheel to even them out. He is not fussy with the tyre brands as long as they have knobbies. 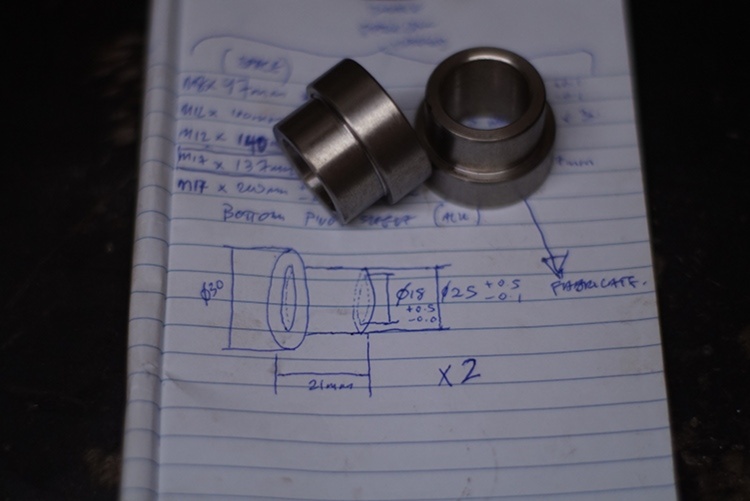 He also hand-grinded the hubs to eliminate the existing brake disc mountings. The easiest part. They had a few mountain bike saddles laying around the workshop. Mix and match, they chose the one which fits the bike’s concept and use it as the bike’s seat. Bearing in mind the bike is meant for flatland drag, he cleared the underside of the top tube where the plug coil was and made a separate tank for petrol and electrical whereby the right side is the petrol and left to relocate the plug coil, cdi and other electrical components. The bike doesn’t use any battery. 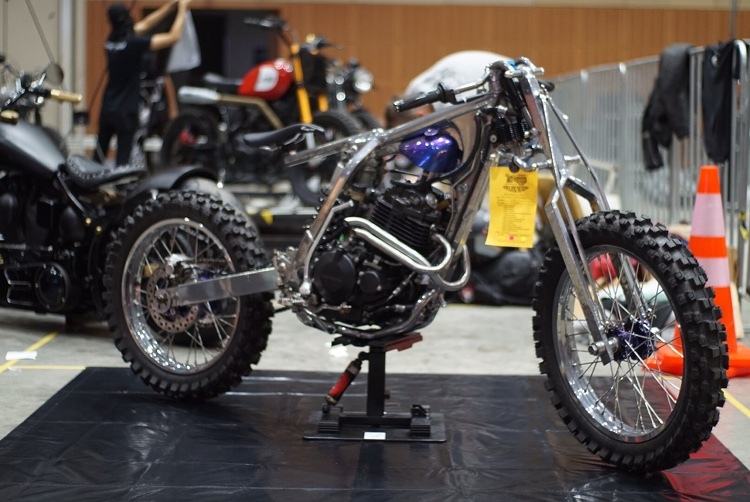 When the bike was ready, they were in time for an exhibition in Malaysia (Art Of Speed 2017), showcasing custom bikes and cars which they entered and unexpectedly won the consolation plaque.